The boys kicked off the fresh performance with the renowned instrumental “Overture” from Tommy. Behind the singer stood lead guitarist Frank Simes in a black leather jacket with a bright red handkerchief poking out of the chest pocket and jeans. While Pete Townshend is off enjoying his yearlong retreat, his bald-headed brother Simon Townshend was handling the rhythm guitar in jeans and a t-shirt. During “Pinball Wizard,” Daltry spun his microphone chord in giant circles, as if it were a lasso. Occasionally, he let it fly into the air and would catch the device just before singing a new verse into it. Blue spotlights shot from above as Daltry leaned his head back, pointed to the ceiling and bolted out the recognizable lyrics. Every spectator was on his or her feet. He asked, “What better way to start the show? Besides “Who Are You," the undeniable highlight of the evening was the strobe-lit "Baba O'Riley." Again, thousands stood up and waived their arms while chanting the well-known lyrics about teenage wasteland. 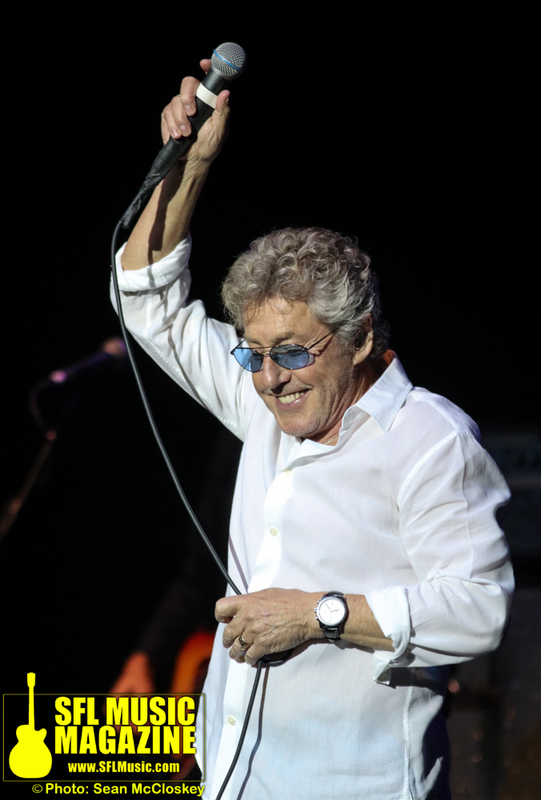 Daltry delivered plenty of emotion as he continuously threw his arms up and down, dancing in place under green lights. After Simes’ impressive guitar solo, Daltry wound down the number a remarkable solo on the harmonica. 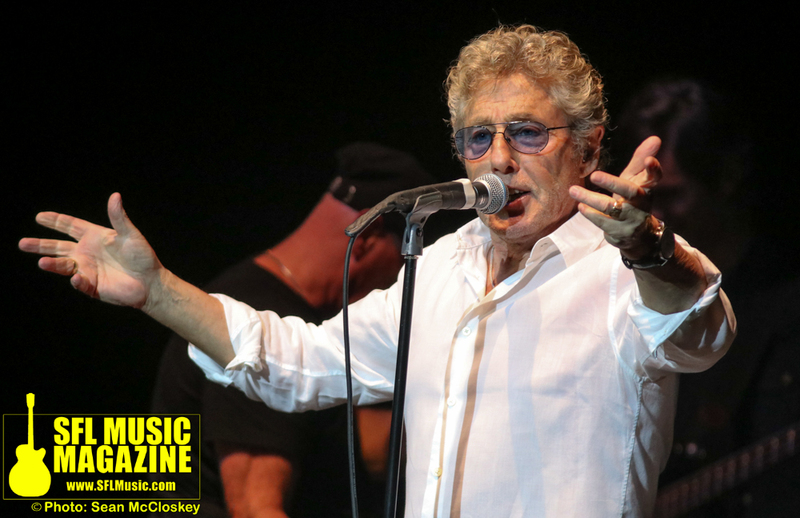 The festivities drew to a close with a new Daltry number, the slow-paced “Heading Home.” Joined by a piano and a stand-up bass, he clenched the mic and sang in a high-pitched voice. It was a perfect choice for winding down the night.